2788 Broadway (between 107th and 108th St) - near Columbia U / Upper West Side NYC. These bagels are the best in New York City and therefore in all of the US. Perfect combination of chewy exterior and light interior. And they taste great too. Of course, people who like their bagels dense and chewy may not appreciate these bagels, but try these once and you might just change your mind. My second choice bagel place in NYC is Russ & Daughters at 179 East Houston Street, near Chinatown. Have tried all the usual other well-known places, but Absolute Bagels has the best bagels. Mornings - especially weekends, be prepared for long lines. And if you want sesame bagels, arrive a few hours before closing - they usually run out. This is important for me since every few months or so I buy a dozen plus bagels from NYC to carry back to Boston - really a downer when they run out of bagels. Best to call if you are going to get there late afternoon or evenings. Unlike Montreal bagels, NYC bagels are pretty big. Which actually may be what allows them to freeze very well. They easily last 3-6 months in the freezer, and thaw out nicely, and still taste great. No need to slice them before freezing too, in fact, they are better off not sliced beforehand. Montreal bagels are good too, but they just don't freeze well - they don't taste as good after a stint in the freezer, have to eat them fresh. 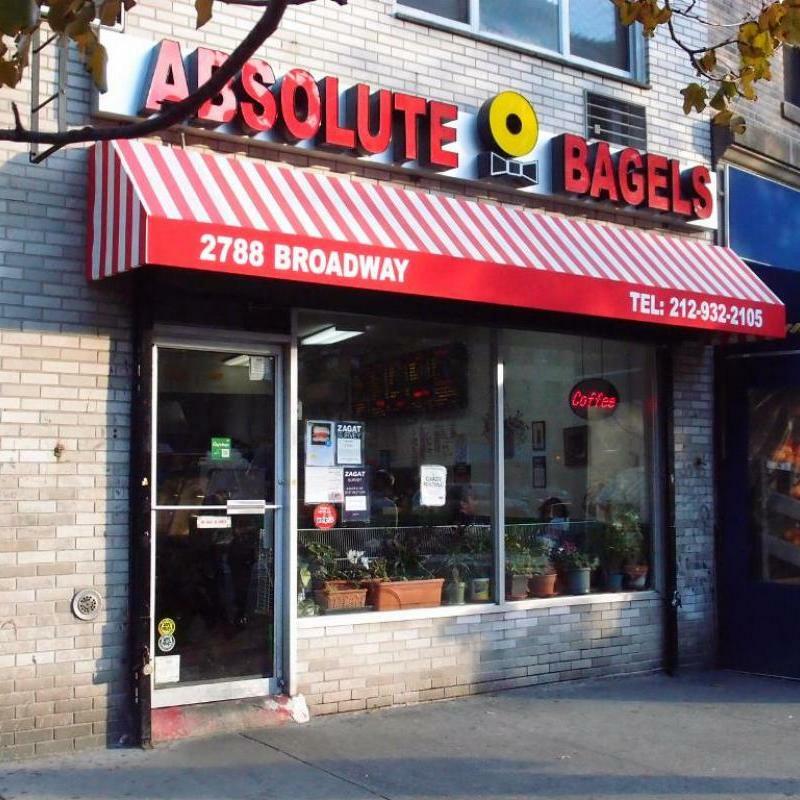 Absolute Bagels Price: $12/dozen bagels (2012), $15 (2016). They have a small seating area, and also offer the usual toppings - cream cheeses, salmon, etc.